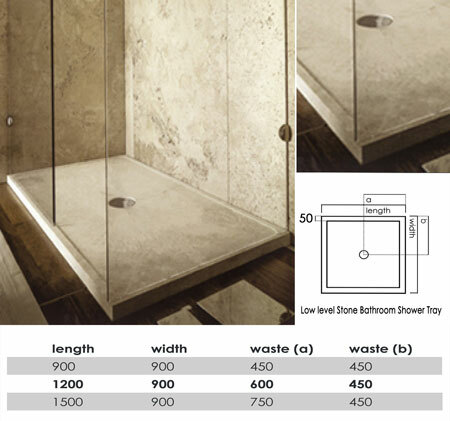 This low level stone shower tray is made in a solid creamy beige marble. We offer 3 standard tray sizes plus bespoke made to measure marble shower trays made to the clients specification. * Made of travertine marble. * Creamy beige honed finish. * Bespoke shower tray available. Stone Tray 900mm x 900mm - £1290.00!